The new place isn’t exactly small, coming in at just under 2,000 sq feet, but a few of spaces are small, or even just a bit awkward. I’m sure I’m not alone in having a few tricky spaces so I’ve put together a few tips to help others out there who may similar problems. Decorate with pieces that are clear or have thin profiles. This little desk area is functional without creating a cramped feeling because the designer went with a ghost chair. Great seating with out breaking things up visually. Use mirrors to reflect light. 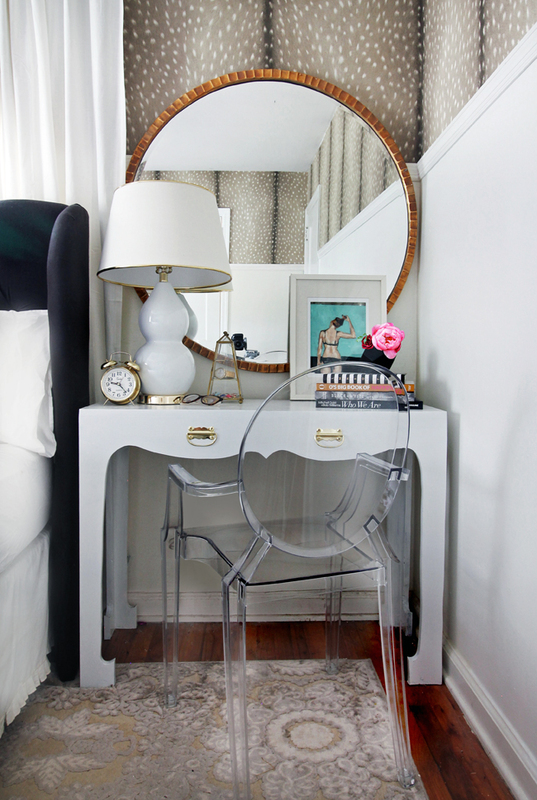 Mirrors have a magic ability to make pretty much every space feel lighter, brighter and larger. The general rule of thumb is the bigger, the better! Look for alternate solutions. This next one is way more practical than pretty but sometimes your staircase is just only so big. Find furniture that can fold or be disassembled so you can actually get it into the space. This guy below is actually headed our way as I type. Use large art. Sometimes people can think that using smaller art in a small space can help the space feel larger when really it does the opposite. 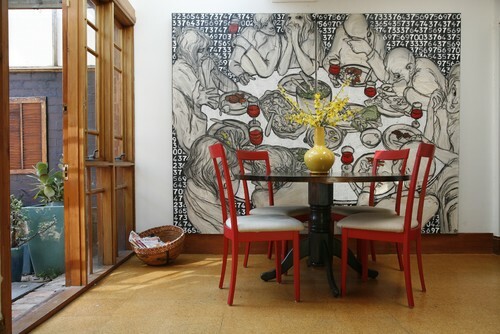 Large art can help a space feel bigger and more interesting. Obviously this is not an exhaustive list of everything that you can do to decorate in small spaces but using just one two can make a huge difference in a room. Anyone else out there have issues with a space? 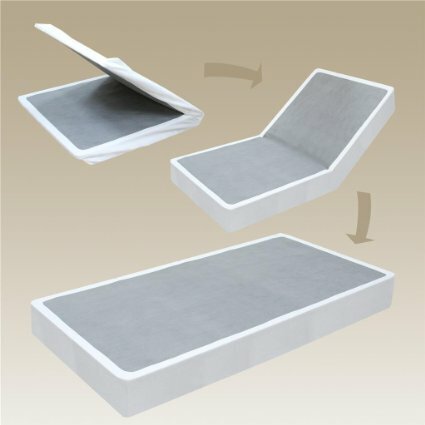 Also, how magical is that folding box spring? Hey! Just visiting your site from The Apartment Cure 🙂 I really like your tips! 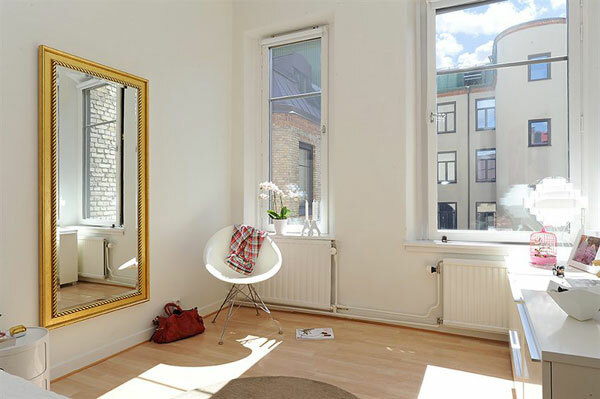 I’m moving into a new place at the end of the month so I’ll definitely be using the large art and decorate with mirrors idea. Thanks for sharing. Thanks for visiting! We’ve lived in quite a few beautiful but oddly shaped places, with our current townhouse being no exception. I’ve come to love mirrors probably more than is good for me but they help open up a space so beautifully!